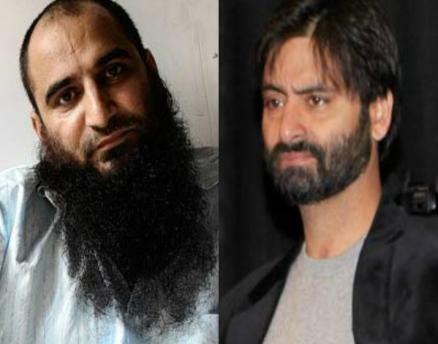 Srinagar : Senior separatist leaders Muhammad Yasin Malik and Masrat Alam were detained on Tuesday. The officer said the two separatist leaders were detained separately to maintain law and order. Malik and Alam were going to Shariefabad village near Tral town where a civilian was killed when security forces fired at separatist guerrillas on Monday in Bamla forest area. Security sources said Muhammad Khalid Wani, brother of wanted Hizbul Mujahideen militant Burhaan, had gone with three other persons to the forest area carrying food for his brother and other militants hiding there. "Security forces were shadowing Khalid. As he reached near the hiding place of his brother and other militants, the militants saw the security forces chasing them," a senior security officer said. "Militants started firing while trying to escape. Security forces also retaliated." "In the exchange of fire, Khalid was killed while three other persons who had gone with him were arrested. The militants, however, managed to escape," the official said.